Last week, three 1L students at The University of Texas School of Law aired their complaints about the curriculum at the law school in the campus newspaper, The Daily Texan. Admittedly, writing on this topic is fairly awkward. 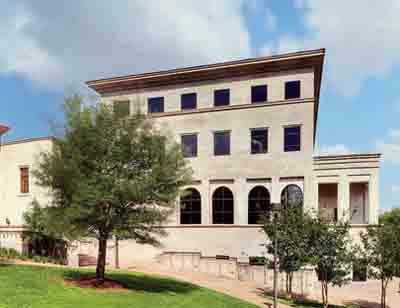 I graduated from UT’s law school in 2004. I thoroughly enjoyed my experience, felt the professors were top notch and found (nearly) every class I took to be mentally stimulating and thought-provoking. And, with a few exceptions, I stayed far away from practical Bar-related courses. Yep — that’s me. I’m that annoying person who loved law school. Without a doubt, Texas taught me to think like a lawyer and I was as prepared as any other first year at my firm. While I’m sure my early legal briefs made my supervising partner cringe (and I sincerely hope he does not use this as an opportunity to provide examples), I can say that even if the formatting and style of the briefs needed work, I was almost always correct on the law. And that’s because I spent three years at Texas learning to tackle a problem from all different angles and taking diverse classes that challenged me, not memorizing the Federal Rules of Civil Procedure. For the authors of the Daily Texan piece to vilify a class such as “Race and Gender in the Constitution” — they call it “totally impractical” — is to show extreme short-sightedness in understanding and respecting the history of constitutional law in this country. Frankly, considering several cases heard by Supreme Court this term, it shows a lack of awareness of current constitutional issues. Sure, maybe these three students intend to be strictly corporate lawyers who do not deal with such questions on a daily basis. But not all of their classmates want that path. But enough about me. A 3L student at Texas, David Shank, responded to the students today in The Daily Texan, walking through the original piece step by step and credibly refuting several of their points (the “critical” law review article they cite is 18 years old, UT’s applications are in line with other peer schools this year, etc.). It’s worth a read. [The authors] ignore the wide variety of options available to law students who actually seek them out. Want to write brief? It’s called moot court. Want to see a courtroom or taste actual litigation? They’re called clinics (and, let’s be honest, for many of us a clinic was the last time many young litigators came close to litigating)…[They] seem to fundamentally misunderstand what kind of law school they chose to attend and what life as an attorney is like for many of us…As soon as Harvard and Yale start teaching classes on metadata, search terms, document review organisation, and how to answer interrogatories or RFAs without actually saying anything, I’m sure Texas will fall in line. Until then, UT Law grads will walk into law firms on their first day knowing as much (and as little) as their Ivy League counterparts and they’ll probably do just fine. Will this impact what employers think about hiring UT students? Highly unlikely. A huge variety of firms, big and small, have hired and been very pleased with UT Law grads for decades past and will be for decades to come. A complaint written by three newbies citing to a single letter from an unhappy employer is not going to make a difference, even if it’s fun to blog about.